By altering both DNA methylation and nucleotide synthesis, folate metabolism is thought to contribute to colorectal carcinogenesis. 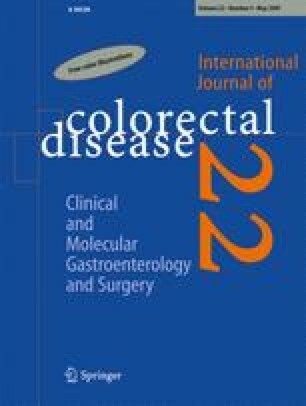 We examined the role of folate metabolism in three different phenotypes of sporadic colorectal cancers (CRCs), phenotypes that were classified by the status of microsatellite instability (MSI) and chromosomal instability (CIN): MSI-H, microsatellite stability (MSS)/aneuploidy, and MSS/diploid. A total of 195 sporadic colorectal tumors and another 195 age- and gender-matched healthy volunteers in Taipei-Veteran General Hospital and Taipei City Hospital were collected. We analyzed for MTHFR (methylenetetrahydrofolate reductase) polymorphisms (C677T, A1297C), folate, and vitamin B12 levels. We determined MSI status and DNA ploidy with fluorescent polymerase chain reaction and flow cytometry. Relations between clinicopathological variables and molecular variables were analyzed by χ 2 tests (with Yates’ correction) for categorical variables and Student’s t test for numerical variables. Folate levels (5.02±4.43 ng/ml) were significantly lower in cancer patients than in controls (7.22±4.46 ng/ml). Vitamin B12 level was similar between cancer patients and controls. The frequency of the TT genotype of MTHFR C627T (12.3%) was slightly higher than controls (8.2%), but it did not reach statistical significance (p=0.174). Within the low-folate group (<5 ng/ml), the frequency of the TT genotype in cancer patients (14.4%) was significantly higher than in controls (4.6%). Sixteen patients who had MSI-H CRC (8.2%) had a significantly higher frequency of TT MTHFR (37.5%) and lower folate levels (3.56±2.41 ng/ml) than patients with MSS tumors (10.1%, 5.14±3.72 ng/ml). Patients with MSS/aneuploid tumors had significantly lower folate levels (4.50±3.06 ng/ml) than those with MSS/diploid tumors (6.69±4.73 ng/ml). Folate deficiency and the MTHFR genetic polymorphism play an important role in colorectal carcinogenesis, including MSI and CI. Folate metabolism plays an important role in colorectal carcinogenesis. We demonstrate that patients with MSI-H tumors had higher frequency of TT MTHFR C627T (37.5%), and patients with MSS/aneuploid tumor had lower folate level (4.50±3.06 ng/ml). This study was supported in part by grants from the Taipei Veterans General Hospital (VGH94-0172 and VGH94-0245).